Volatile organic compounds (or VOCs) are gasses emitted from certain solids or liquids. VOCs include an array of different chemicals, and the products containing them number in the thousands! These chemicals can have both short and long-term negative health effects. Paints, varnishes, wax, and many cleaning products all contain organic solvents. All of these products can release organic compounds while you are using them, and while in storage! EPA’s Office of Research and Development’s “Total Exposure Assessment Methodology Study” found levels of around a dozen common organic pollutants to be 2-5 times higher inside of the home than outside, no matter if the homes were located in rural or city areas. These studies showed that while using products containing organic chemicals, people are exposing themselves and others around them to high pollutant levels; and these elevated concentrations can linger in the air years after a painting job. Volatile organic compounds can result in various unpleasant symptoms or dangerous health risks. Some risks associated with VOCs include headaches, nausea, cancer, dizziness, coordination loss, skin reactions, eye/nose/throat irritation, and damage to the kidneys, liver, and central nervous system. This is especially scary to hear, because most people are unaware of this problem! So, how do you avoid these dangerous chemicals? The most obvious way to avoid volatile organic compounds is to simply switch to non-toxic supplies and VOC-free paints. VOC-free paints are not only safer, but they are also odor free and have a durable, easy to clean surface. The demand for VOC-free paint has been rising over the years, so it should be easy to find a VOC-free paint to suit your needs. Always check the product’s VOC information before making a purchase. While of course VOC-free is the best choice, if you cannot find those products, simply use the product with the lowest VOC rating. Make sure to use these products in a well ventilated area, follow label instructions carefully, and to dispose of old or unneeded chemicals. Gases can leak from closed containers, so if you don’t need it, get rid of it! Do your research to dispose of these hazards safely; don’t just toss them in the bin! To know if you have high VOC levels in your home you need to hire someone to conduct VOC testing. The testing technician will take air samples through specialized media and send them to the lab for analysis with specialized equipment. The lab report will provide information valuable in helping you finding the sources of the volatile organic compounds that may be causing health issues. While testing for VOC levels is not included in a regular home inspection, few home inspectors, including Habitation Investigation of Central Ohio, can add it for a fee! Often the testing is done not as part of home inspection for purchasing. The testing is done for current home owners who are experiencing problems. The Habitation Investigation company provides home inspections in the Central Ohio Columbus and home inspection in the Dayton Ohio areas, Hilliard, Powell, Pickerington, Pataskala, New Albany, Delaware, Gahanna, Westerville, Galloway, Grove City, Worthington, Dublin, Marysville, London, West Jefferson, Springfield, Mechanicsburg and other cities surrounding Columbus, Ohio. 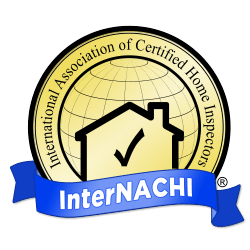 Our home inspector are certified home inspectors and licensed as needed. The most/best reviewed home inspection company in Columbus Ohio is Habitation Investigation LLC. The website is: http://www.homeinspectionsinohio.com They also have training to conduct sampling for mold and VOC testing.